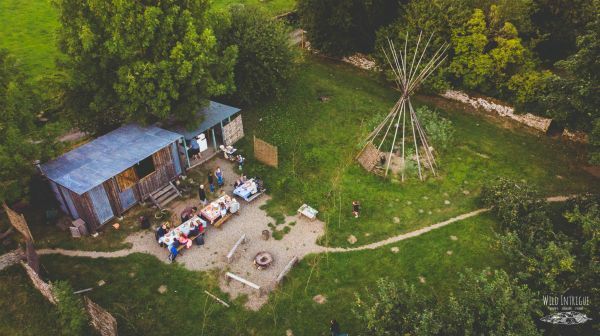 Upon arriving at the Pole Barn you will be greeted by Wild Intrigue guides Heather and Cain and introduced to others who are joining, where you can enjoy a hot or cold drink around the camp-fire. We will then get straight to creating delicious pizzas to cook in the amazing stone-baked pizza oven on site – what toppings will you choose? Plates emptied, we will take a short walk around the site to discover the crepuscular wildlife emerging with the setting sun. Perhaps we’ll hear Tawny Owls calling, Roe Deer barking, the Blackbird’s bedtime melody. With the setting sun, we will return to the Pole Barn to enjoy toasted marshmallows and hot chocolate around the fire, listening to and chatting about all things wild. We will then set off to eavesdrop on fascinating, elusive creatures of the night; Bats! Using specialist detectors, we will take you on a short Bat safari around Wild Northumbrian, where you will learn the different Bat species on site whilst learning what makes these little understood mammals just so intriguing. If you’re a family, choose one of our Family Nights, tailored to suit you and your little wild ones! Fancy a kid free evening in the wilds? Then select one of our No Kids! Nights. Our No Kids! Bats & Pizza Nights are intended for adults only, be sure to check out our Family Bats & Pizza Nights instead if you have children.